Potty training — a monumental milestone in both the life of a parent and a child. When the time has come to take that first big step towards independence (the first of many), it’s helpful to have the all of the proper tools for success at your disposal. If you want to survive without pulling every strand of hair from your head, that is. 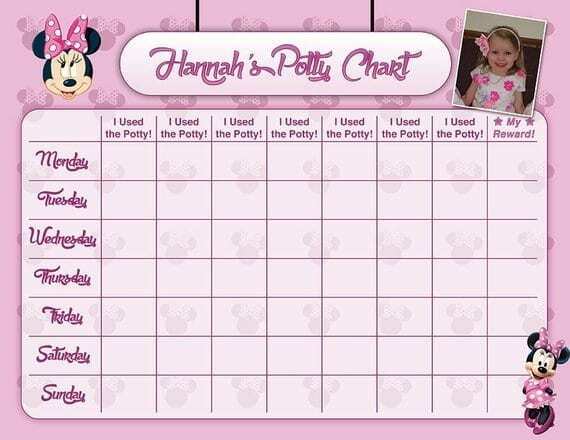 Check out some of our potty training must-haves below! Our first must-have on this list is a no-brainer. We love the Babybjorn potty chair — we have a pink potty for our girls, and a blue potty for our little boy. The Puj Easy Seat is another great option if you’re tight on bathroom space, and would rather not have one more piece of baby gear in your home. It has a built-in splash guard, is easy to keep clean, and hangs for easy storage. It’s also the perfect potty solution for travel! We’ve always used the “Potty Train in Three Days” method. On Day One, we “throw away” all of our diapers, and put on our brand new, big girl/boy undies. We drink as much liquid as possible to encourage as many trips to the potty as possible. Training pants are another great item to have on hand — especially for naps and bedtime, so that you’re avoiding returning to diapers. Most children will not be capable of daytime and nighttime potty training simultaneously — experts say that nighttime potty training has a lot to do with maturity of the bladder, and every child develops at his or her own pace. We printed and framed a cute little Potty Chart I found on Etsy. Instead of gold stars, we’ve employed reusable Disney Princess stickers — my big girls have the same stickers for their own charts (to earn screen time and allowance for good behavior and helping out around the house). We usually reward the first “potty” with a big prize — every potty after that earns a small piece of candy or a trip to the Potty Prize Bag. These are usually smaller prizes purchased ahead of time to encourage and reward good potty behavior. For some kids, using regular toilet paper can prove too difficult — especially when it comes to wiping poop. Trust us; it can get a little messy! A biodegradable, flushable wipe is a great alternative. Many of my mommy friends swear by the Target brand. Anything you can do to encourage self-sufficiency is always a plus! A cute step stool to help your child reach the toilet or the sink is always helpful. If your kiddos are anything like mine, they will love washing their own hands after a trip to the potty — or just any time in general! (Sometimes it gets a little out of hand.) Feel free to purchase cheesy character soap. Anything to make them happy, and encourage the ultimate goal: potty training success! This is a must! Especially as you embark on the adventure of nighttime potty training! We generally try to conquer daytime potty training before moving on to nighttime potty training. There’s no special prize for accomplishing everything at once. Do what is best for your child and your family. Having all girls, I have no experience with this just yet, but I will soon with my baby boy! Many of my boy mom friends have said that it’s easiest (and way less messy) to start by teaching their sons to potty sitting down. Once they have mastered this, you can move on to standing. 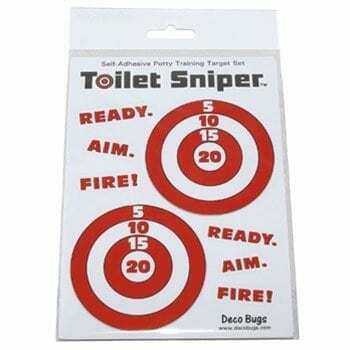 At this point in time, using “toilet targets” can help with aim. Make it a game! Toddlers love games. You may even want to pick up a few extra toilet targets for your husband. Kidding!